Rudy Gavidia put on quite a show Wednesday night at Fusion FC 27. 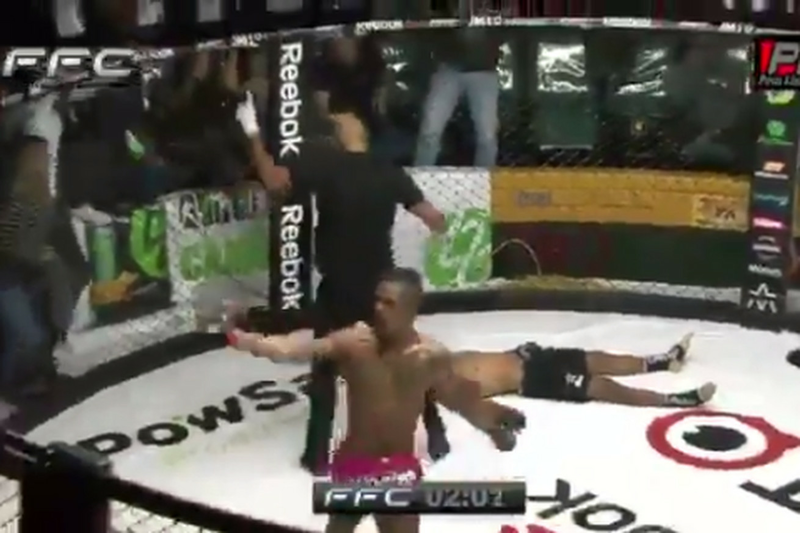 The Peruvian featherweight prospect made his interim title fight against Vicente Vargas one to remember, as Gavidia invoked memories of Quinton ”Rampage” Jackson by knocking Vargas out cold with a grisly slam knockout in FFC 27’s main event tilt. With Vargas reaching for a front headlock, Gavidia seized a double leg then hoisted his foe high into the air and slammed him down hard on the mat, rendering Vargas unconscious almost immediately. The official time of the stoppage was 3:00 into the first round. Gavidia picked up his seventh straight win with the performance. Video of the stoppage can be seen below.